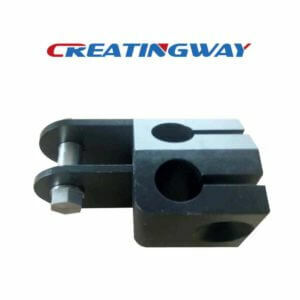 What Creatingway can offers as CNC Machined Manufacturer. How Creatingway help your projects to make your works more easy. In order to consider the product cost, our engineer team will analyse and review the whole projects construction and process from different machining methods. We will provide you one PPT report to you on products review and suggestion to easy project development. We will start to make the physical samples for review once confirmation above to ensure all of process ahead. We will start to fix the production running once samples and process confirmation, and get you reasonable packaging and shipment for review. Will discuss with you for best good shipment term. We provide more different solutions for your projects for choice. We offers more different process in house to meet your projects requirement such as CNC machining, fabrication, welding and easy assemble etc. All of your RFQs or inquire, we will reply you in 12 hours, and quote you in one day. Physical sampling would be nice because then you wouldn’t have to worry about what the product is going to look at. I know that when you are selling a part whether it be an auto part or a part for an appliance, you want to make sure that it will look okay for production. It needs to be able to work the way it was designed to. Thank you for your comments, all of our parts is customs, also we can develop, design them for you. Next we will share more these information, and if you have any inquire or your friends have, please kindly send out our sales email address.